By submitting the form, you are agreeing to our terms and conditions. 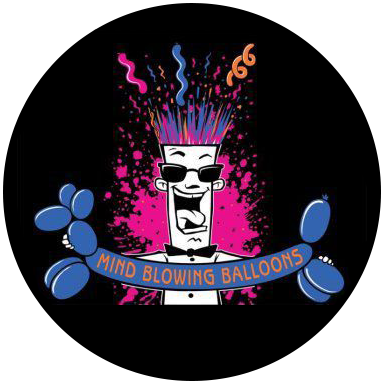 One balloon artist (twister) can accommodate 10-15 Mind Blowing Balloon creations per hour. Events outside of orange county require a two hour minimum. All events are "rain or shine" unless otherwise stipulated. The PURCHASER is responsible to provide an alternate indoor location in the event of inclement weather. The client agrees to pay the full amount contracted once the PROVIDER has arrived at the event location, even if PROVIDER cannot perform due to inclement weather. Cancellation of the engagement by the PURCHASER for any reason shall forfeit the deposit. Cancellation of the engagement by the PURCHASER within 14 days of the date of engagement shall also require payment of the balance to the PROVIDER, unless the same act is re-booked by the PURCHASER for a mutually agreeable date within 30 days of the canceled date. A PURCHASER canceling their engagement by telephone must also verify that cancellation in writing (via dated mail, email or FAX). If the PROVIDER or the PURCHASER must cancel the engagement due to an Act of God, "Force Majeure", riot, strike, epidemic, or by the order of any public authority, this contract shall become null and void, all deposit and balance payments shall be refunded, and both parties shall have no further legal recourse against each other.